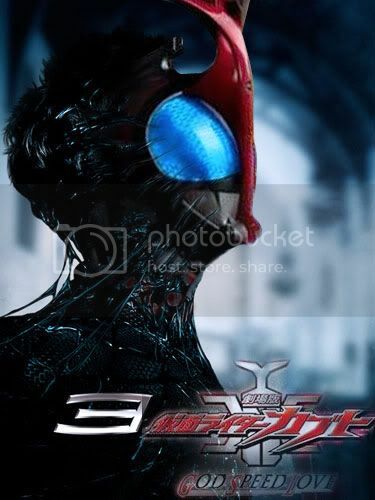 I really hope that wins because given the actually story behind dark kabuto that would have made sense as a promotional poster and it just looks accurate and awesome. That actually fits into a weird Mach form idea I've been having for a while now. Why not use the tires to arm the ride much like a luge suit and the force of the tires propel the rider to Mach speeds. leron9999 wrote: Referring to me right? Hmm... something along those lines. But more of an actual weapon rather than a Deus ex machina. How are motorcycles deus ex machina? That's kind of been replaced by train and castle battle recently but I really hope we see it somemore and something about double design makes me think we will. I'll admit that only every other year I enjoy sentai, couldn't stand goonger or boukenger. Well robo can be explained as armor over the body, bio as the body itself changing and mystic is the required middle ground where it's a bit of both. I really hope it becomes big over here for older folks, like if adult swim aired subbed kuuga or agito. I hope the ultimate form goes all catdog and has a head on each end of the body.